June 1st is opening day for Hill Creeks 2019 season. 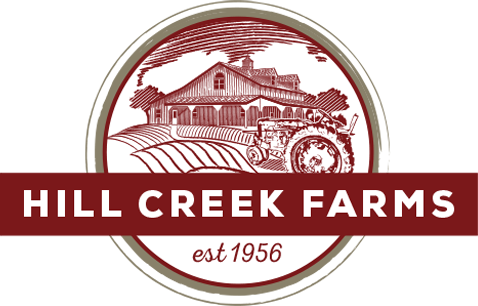 There is always something new at Hill Creek Farms. Our vegetables will be available for u pick. Check back to see which ones will be ready! Enjoy the warm weather and come on out and visit our “Farm Fresh Market” with fresh salads, dinners to go, wines, cheese and so much more. Check out the Loft Cafe to see what Chef Jen and the team are cooking up using fresh produce grown right here on the farm! You won’t want to miss out on our “Fresh Scratch Bakery” with Jewish apple cakes, apple cider donuts, caramel apples, homemade apple pie and so much more. Tickets will be available for purchase for activities tickets can be used for — tractor rides, jumbo moon bounce, barrel train rides (according to size) and our new playground. The duck races and free playground are free as always. Admission and Parking is FREE for our opening weekend! Call ahead for further details on days which may possibly shut down the bounce house, or train due to rain and high winds. Gem Stone Mining - An activity that is fun, and educational too! We look forward to having you back this year!